I had a successful review of Facebook to post on the page and on the group. "Invalid Scopes: groups_access_member_info. This message is only shown to developers. Users of your app will ignore these permissions if present. 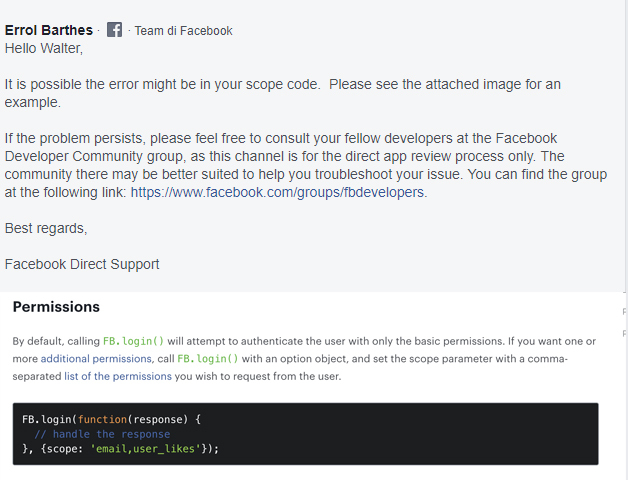 Please read the documentation for valid permissions at: developers.facebook.com/docs/facebook-login/permissions "
I don't need to "groups_access_member_info"
You can authorize the channel only for Pages (public_profile,publish_pages,manage_pages). 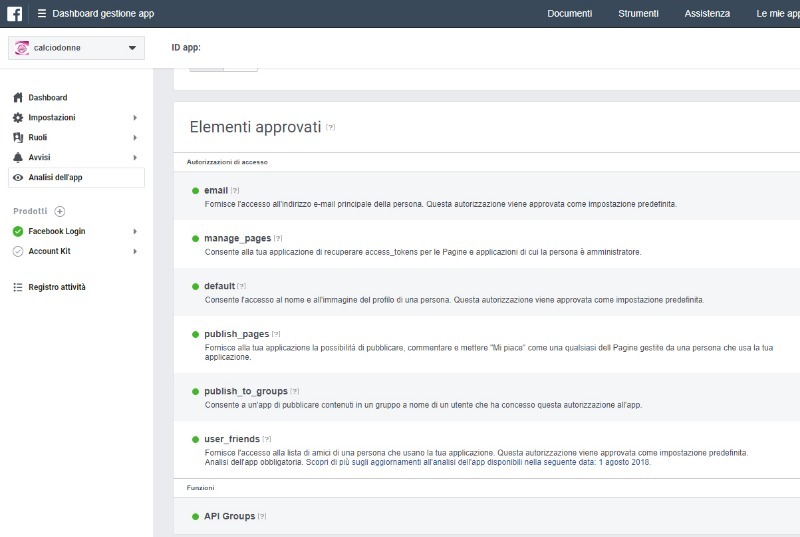 You must repeat the App Review process for Groups, requesting the approval for Groups permissions. It's better if you apply for Groups with a new App. Last edit: 4 months 2 weeks ago by Valter Pettinati.